163rd Infantry OCTU (Artists Rifles) facing pair of WW2 formation signs. 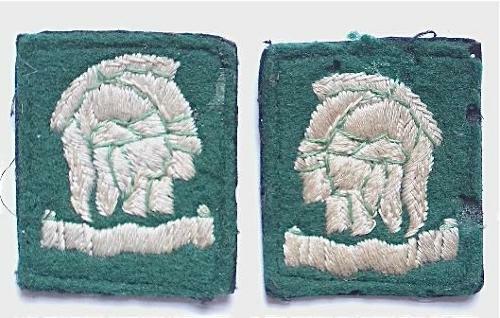 White conjoined heads of Mars and Minerva embroidered on green rectangle. Removed from uniform, some moth.